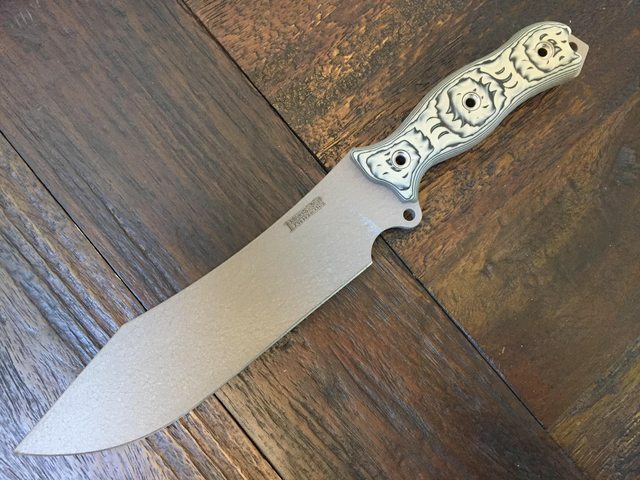 Discussion in 'Busse / Swamprat / Scrapyard Knives For Sale' started by crufflers, Jul 26, 2018. Shipping will be done right from PAYPAL G&S when I receive payment will print label and ship within a few days. Shipping will be USPS Priority insured, with tracking. Regulators. AS NEW, not used to cut anything, maybe paper. 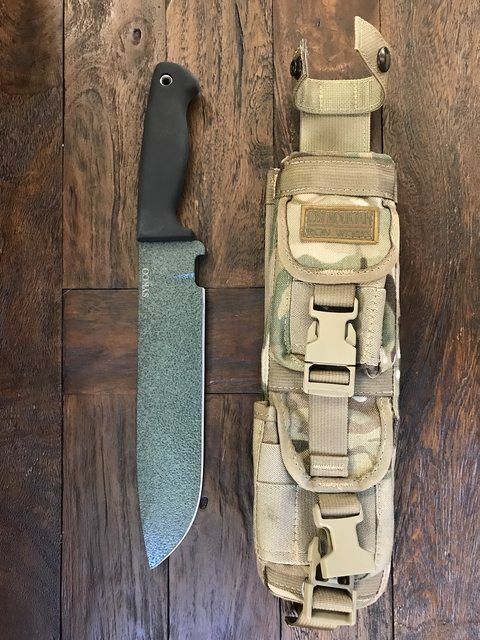 Tan handled parked hollow ground with SPEC-OPS combat master and a Green handled short flat ground CAMO regulator with Basic Spec-ops + molle accessories pouch (attached as shown) $285. Pics below for most or in replies to thread on page 2. Other stuff in last pic is for sale. 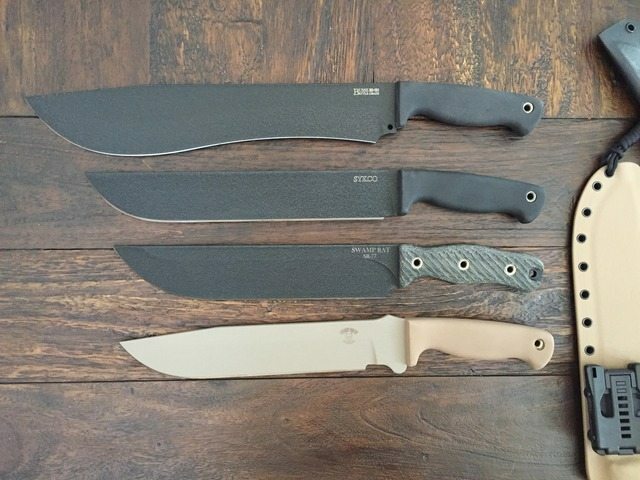 I think there is a SFNO BG black/black micarta w/Kydex, and a TG BG Black/Black Micarta in leather with gator inlay. I'll post in another thread, or inquire. 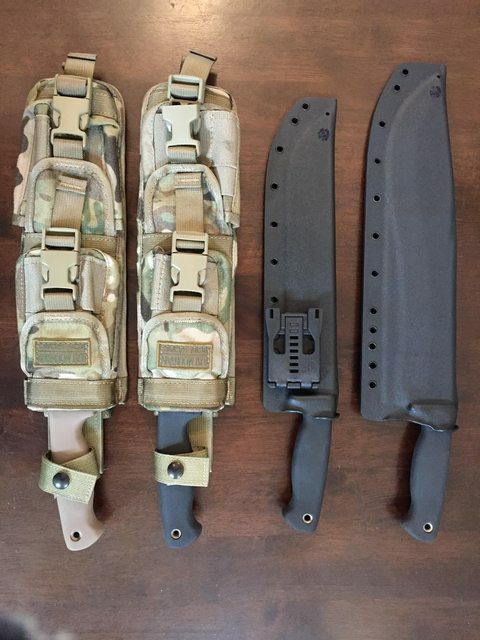 $360 for the TG BG with Leather Gator, $350 for the SFNO BG with AZW Kydex. There will be a few Taliwhackers. Two LE's and a Zomgreen. 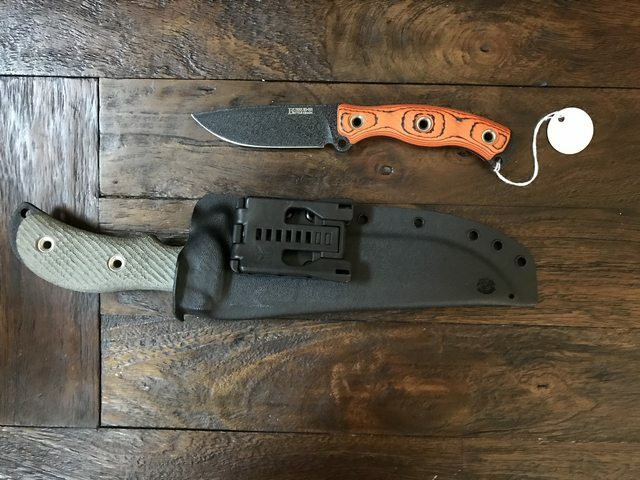 The one pictured (LE) is in an amazing TIETAC kydex that snaps in and locks like no other retention on RES-C I ever saw ($330). Selling a lot of NEW non-users and dupes. 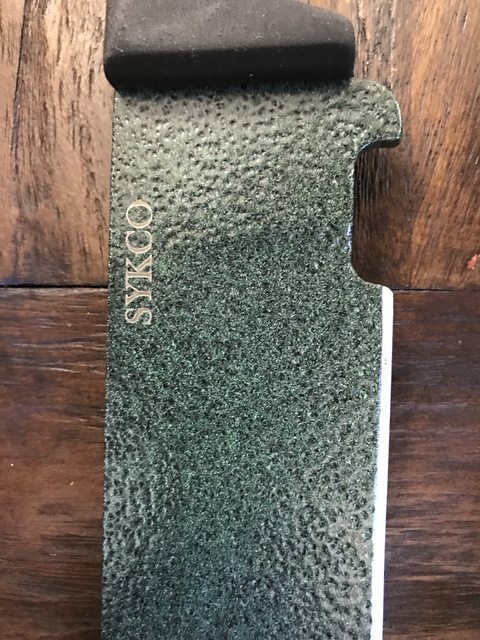 Most kydex have TEKLOC's but you get them as setup. BB13 doesn't have TEKLOC. CONUS ONLY FOR NOW. Prices are PayPal shipped. 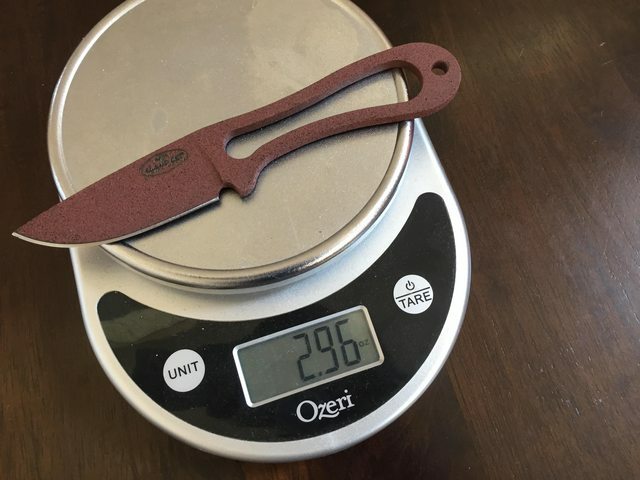 Also have choppers for sale. 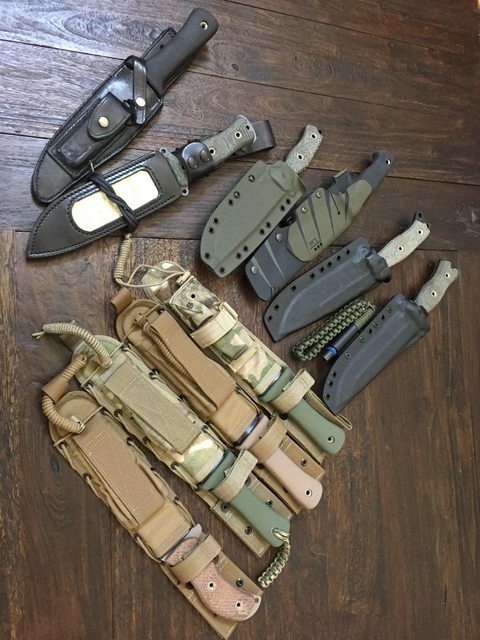 Black 1111, BB13 BG, Trash2, and one Lost Mountain Footlong for the Trash2 and 1111 with appropriate kydex inserts. $390 for Trash2 with LMIW. 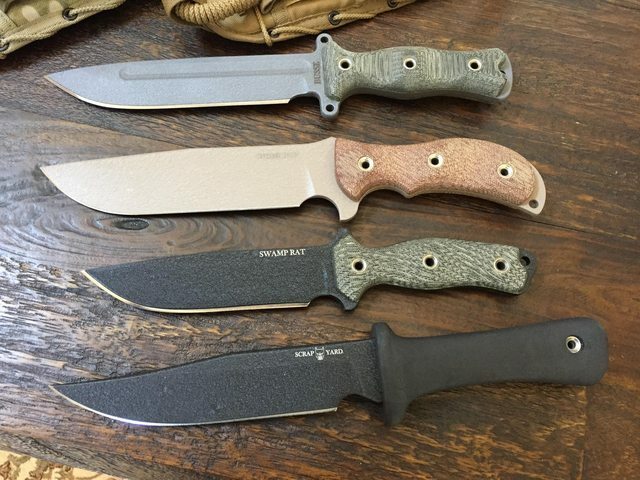 $340 for 1111 with Kydex, $390 for BB13 BG with Kydex. Can send pics upon request. Pics in thread maxed out. Uncle Timbo, argyle1812, MattinLA and 3 others like this. I will take the green handled parked regulator...never had one, very interested in trying this guy out! Chingon1988, PeteyTwoPointOne and crufflers like this. It is yours. PM'd details. JackTheKnifeGuy, hydeinmind and bullpin like this. It is yours, thanks. I will PM details. 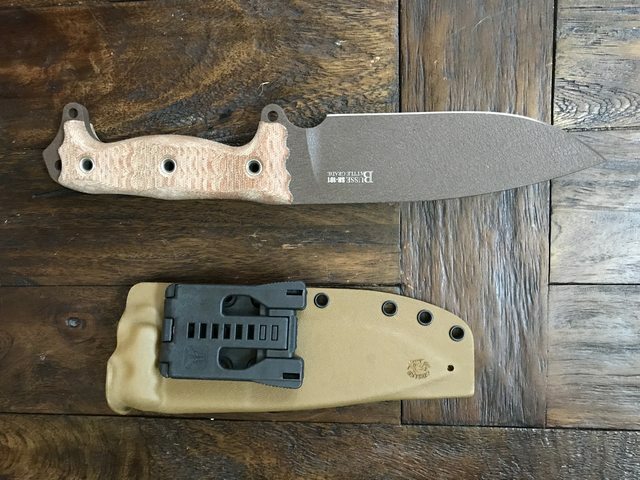 I'll take the Tan 1111 w/ LMIW sheath for $380. Looks like you bumped the price up while I was sending you your pm. I'll still take the set-up for $400. Sorry, I bumped for shipping insured 100%, paypal fees, and sig fee... had not scoped out the shipping hit enough, my bad. $380 for you. It is yours. 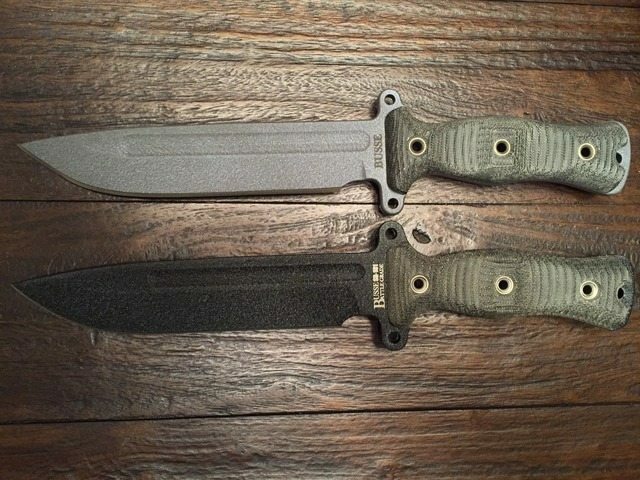 Great blade and sheath. 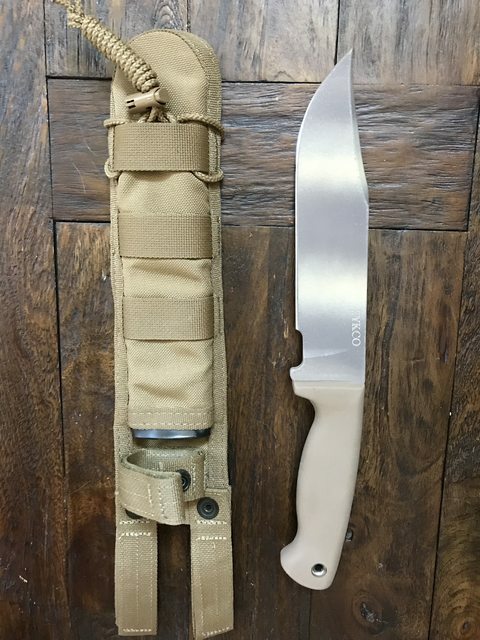 If anyone else is looking for a 1111, I think I have one more tan and black that are new, but with Kydex or the old SYKCO canvas sheath. Adding a few new pics. gk4ever2, hydeinmind and PeteyTwoPointOne like this. Sorry, but I'm having a lot of trouble figuring out your site. 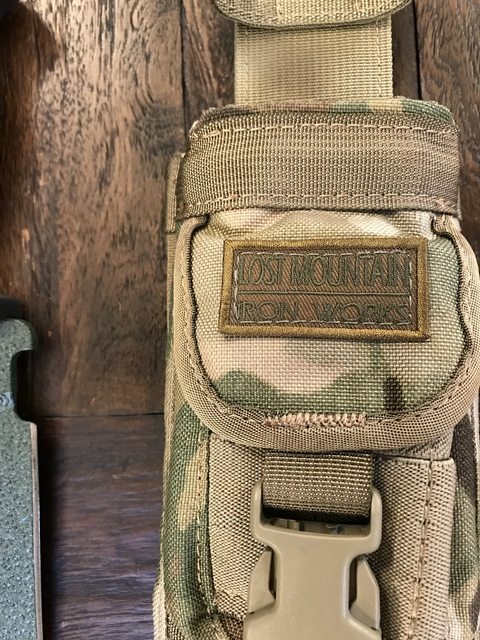 I'm interested in the trash 2 in the Lost Mountain sheath. 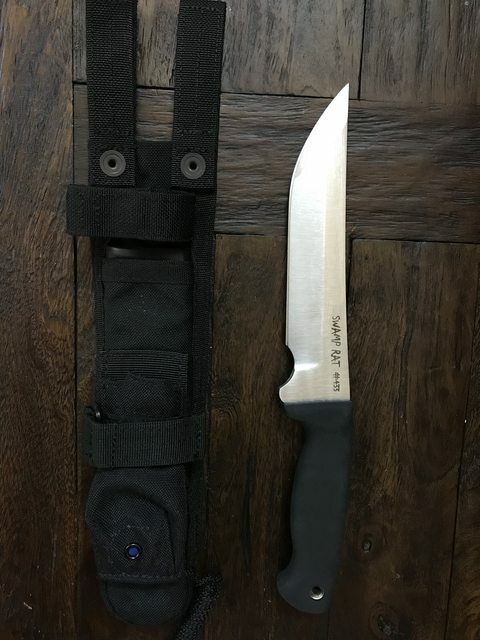 Is there a picture of this knife out of the sheath?? 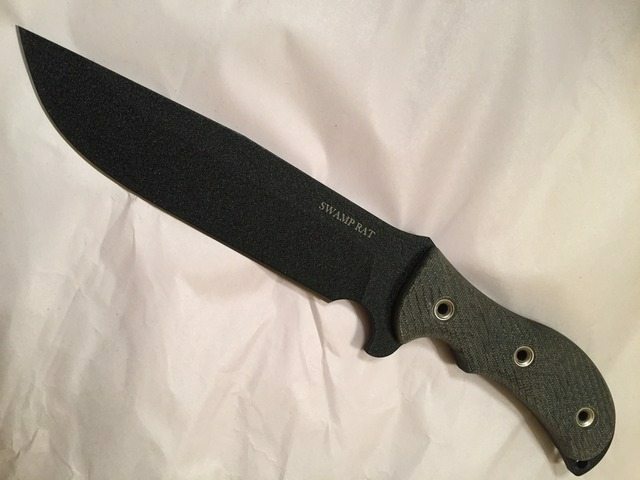 What color is the blade and handle on the trash 2? Thanks for your attention. Richard W.
Yeah, this is my first for sale thread with a lot of items. Kind of disorganized. I'll try to clean it up. I am adding pics of the Trash2. Received. Thanks. 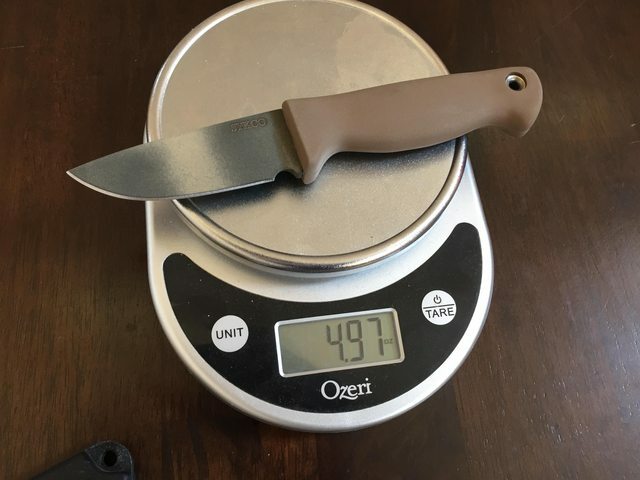 Will mail your knife sheath and small bonus item today. 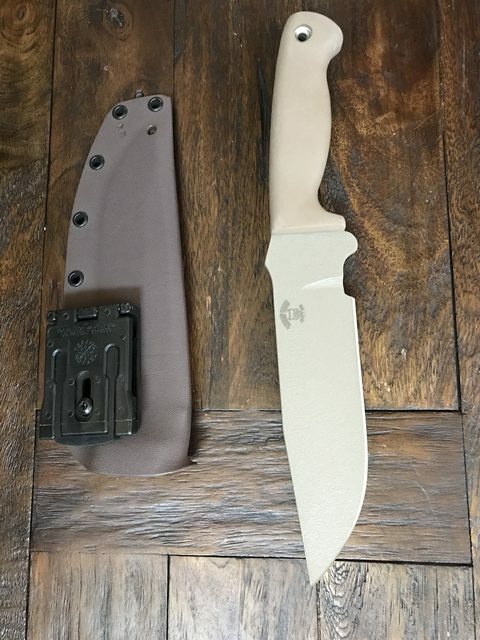 TGLB w/ Kydex, Tan 1111 with LMIW sheath, Regulator hollow ground w/green handle + Spec Ops... sold and have been shipped. Srry, that's a BG = SR-101 .220" stock. Pm sent on american reg and yard guard. Thanks everyone. Trying to the keep original post updated. Shipping out a Black Dog Father, American Regulator, MMD today.